Believe it or not, I had immense faith for the Oakland Raiders this year. I thought Derek Carr would have lead this offense like 2015, the running game seemed very prominent in the preseason (only preseason right? Wrong) and the defense seemed like it was finally coming together with drafting Maurice Hurst and signing former pro bowler Derrick Johnson. I put a huge emphasis on defense since a good defense wins championships. This year was not the Raiders year, clearly, but I believed they could become contenders again in a couple years. They were really trending upwards. And then…they traded away their best player, Khalil Mack. I’m shocked, but I’m more frustrated. 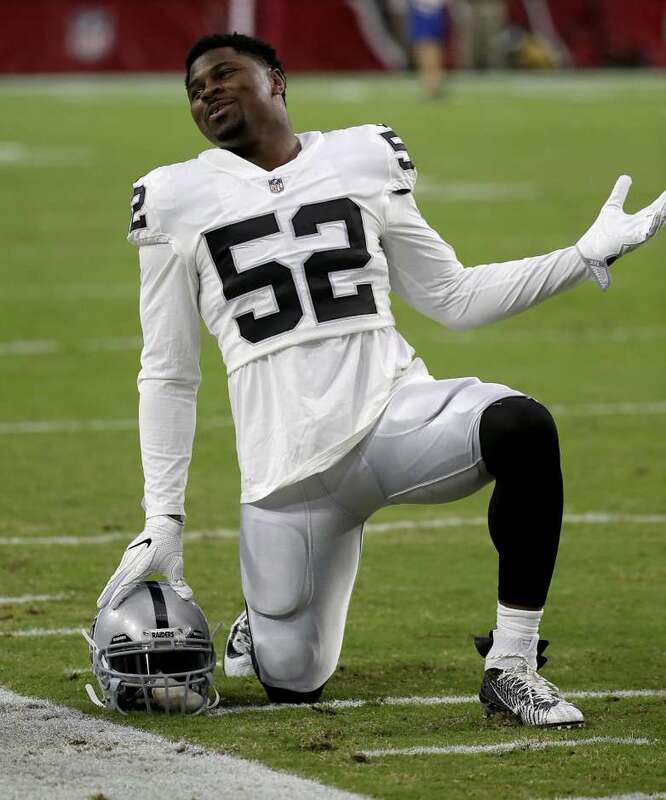 Khalil Mack is revolutionary defensive end that has the athletic caliber unmatched by anyone in the NFL, and the Raiders just shipped him off to Chicago for a couple first rounders. Neither of those first round picks will help fill the void you created Reggie McKenzie. Khalil Mack needed to be treated with more respect in Oakland. Resigning him should have been the organizations top priority. Of course I understand the Raiders did not have the money to sign him, but they certainly could’ve found a way to keep this once-in-a-generation player. I am 100% positive Derek Carr would’ve taken a pay cut to keep Khalil Mack on the team, given their strong relationship. Any member on the team would’ve taken a pay cut to help their chances of winning a super bowl. I am not an NFL general manager, I have not attended college and I certainly do not understand economics in the NFL. But I do know is that the Raiders gave away one of the best players the NFL has ever seen, and they will regret their decision for years and years to come.